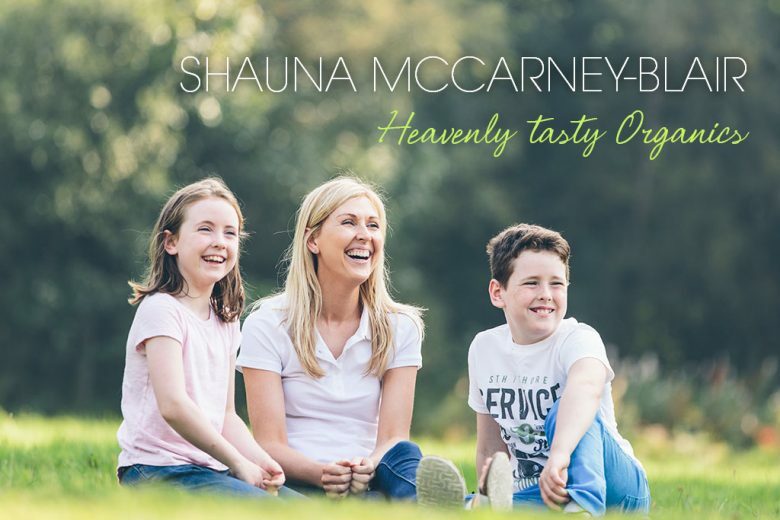 When Shauna McCarney-Blair couldn’t find pre-made food that looked and tasted homemade for her children with allergies, she realised there was a gap in the market. And so Healthy Tasty Organics was born. In the years after leaving school I mainly worked as an administrator in government offices. Immediately after leaving school I studied food technology but didn’t follow it up as a career at the time. I have never been one of those people who have always known what career they wanted to follow from a young age. I guess I was always meant to be an entrepreneur! Although sticking at studying Food Technology when I was 17 would have been really beneficial when starting this business. I was always conscious that I didn’t go to University after leaving school and so was keen to ensure I continued to learn and better myself, something I still do to this day. I studied for a HNC in Business Studies in the evenings after work at night classes and at the same time trained as a beauty therapist by also attending night classes. It was hard work combining everything but I had no children at that time and plenty of time to do it all. Even whilst running the business I’m keen to keep learning and so at the moment I am in my final year of a part time BSc (Hons) Food Business Management. I’m a firm believer in lifelong learning and although it can be tough to find the time to study, the satisfaction of completing something is certainly worth all the anti-social weekends spent studying. Once I had my first child I was very lucky to be able to become a full-time mum, something I will always be grateful for. I wanted to be there for all their ‘firsts’ and will always feel grateful for that time with them. As much as I felt I was capable of more in a ‘career’ context, I felt the experience of being a full-time mum, and that period of time in my life, was something which I could never get back. Those early years with the kids were so valuable, although at times very tough, which any stay at home parent will understand. It can be a little isolating at times when all you hear each day is cbeebies! With my first two children I was able to be a stay at home mum until they started pre-school. Once they were at preschool/school I started working part-time for my dad’s business which I was extremely grateful for. At the same time I had this business idea of my own burning away in my mind and felt I just had to do something about it. With my third child, I didn’t get a lot of time off afterwards as I was running this business and our office was based at home and there was just no getting away from it all! I’m due my fourth child in March and really do intend on taking some time off from the business whilst dipping in and out of it from time to time. 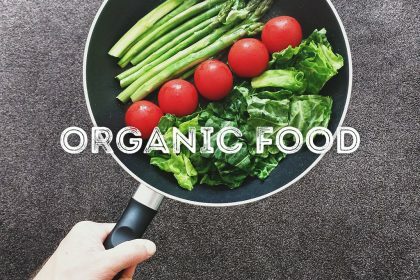 When I was pregnant with my first child Joe, I became very aware of organic food and the benefits of it and so when it came to Joe weaning on to solids I was very passionate about organic foods, and home-cooked meals. Around the same time we became aware that Joe was suffering from some food allergies so home cooking was the only option I had. When my second child came along we faced the same issues, food allergies and lack of time to home cook all of their meals all of the time. I made all their little meals and froze them into small batches, like a lot of parents do, and so the idea stemmed from there. 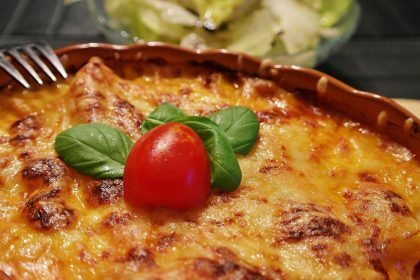 I thought there had to be other parents out there, like me, who were looking for another option, a convenient baby meal which looked and tasted homemade. Since then the business has changed immensely where we are now an office based team who source, manage and develop new products with carefully selected third party suppliers throughout Europe to bring amazingly healthy snacks to the baby aisle. I didn’t do anything about it until the children were in playgroup/school and after a lot of time spent researching the market, sourcing premises, suppliers, packaging, training myself with the necessary qualifications and know how, I started manufacturing in August 2011. We began by making little fruit and vegetable purees, all by hand, we did all the peeling, chopping, cooking, freezing into little heart shaped ice cube portions, all packed into a re-sealable doypack. At the time we were the first company in Ireland to create a product like this and it attracted a lot of media attention. We began selling into SuperValu stores in Northern Ireland. Our products now are a lot different where we provide healthy snacks for babies and toddlers. The frozen and chilled baby food products proved a challenge due to the location in store (Away from the baby aisle), and until there is permanent freezers or chillers located within the baby aisle in stores, it will always prove to be a challenge. Parents can certainly identify with the products emotionally as its just the same as what they do at home, but the problem lies in store, when they cant find it in the baby aisle beside all the other baby food. 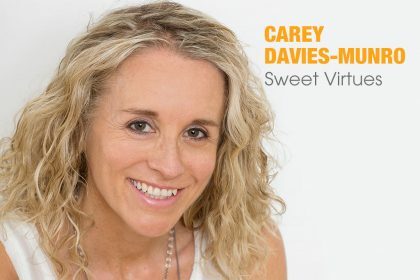 We identified a need for healthy snacks within the baby aisle and so decided to pivot the company and look to a different direction within the baby food market. We are delighted we did and have never looked back. We are passionate about what we do and will continue to bring more new products to the market which focus on low natural sugars, no added sugars and salt, which are healthier options for little ones. Our current range of products provide parents and little ones with healthy snacking options. 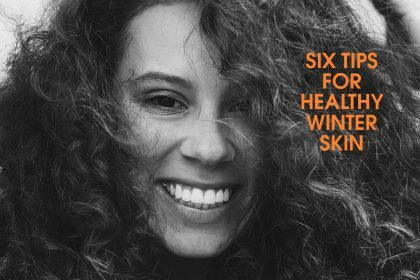 Our products are packed with superfood ingredients like spinach, kale and coconut milk, and ancient grains like amaranth. All of our products are low in natural sugars and contain no added sugars, while still being full of flavor. Our target audience is parents, grandparents and carers of little ones, and of course the little ones themselves. We do find some adults sneakily loving our products too! Over the years we have found the influence of social media to be instrumental in spreading the word for the Heavenly brand and raising awareness of our product range. Using a variety of social channels including Facebook, Twitter and more recently Instagram, we have been able to communicate directly with our target audience and gain vital understanding of their needs and wants. As a team we also like to get ‘out on the ground’ and invest time and budget into supporting our retailers through store tastings, where we also have the opportunity to meet parents and little ones and get vital feedback on our products. We enjoy listening to our target audience and have created products which parents are asking for and want for their children, a healthy alternative to salty, sugary snacks. We also have found that traditional press and magazine editorial has been a great way to help build our brand. Editors have been extremely supportive of our brand which has enabled us to successfully communicate the core values of our company and mission to provide healthy organic snacks to the UK and Irish markets and beyond. Our most successful marketing strategy has probably been our engagement with parenting bloggers in Ireland, the UK and as far afield as Dubai and Spain. We communicate with bloggers who then review our products honestly and without bias and this has probably been our strongest asset, as children and parents alike have had such a positive response for our brand and products. Also because bloggers are independent, and their thoughts and opinions are their own, their recommendation counts with other mums and dads. 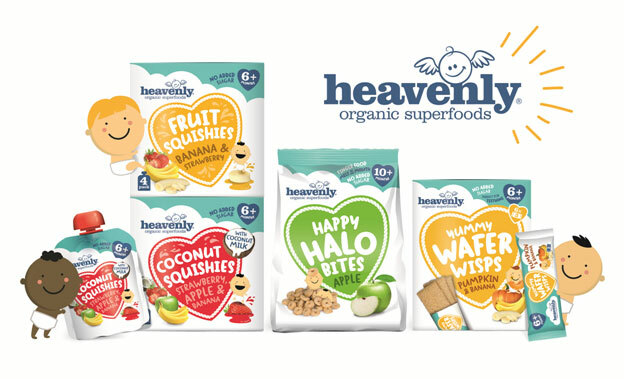 We have a number of bloggers now who have now become brand ambassadors for Heavenly as they are so supportive of what we are trying to achieve as a brand and are keen to help us spread the message that there are healthy alternatives for kids available on the market. As in any business there are many obstacles to overcome along the way. I guess for us, the biggest one was deciding whether to stay with the frozen/chilled baby food market which was a very difficult market, or make the move to ambient baby and children’s snacking. Or to stop altogether. It would have been very easy for us to give up and wrap up the business, but we knew we had a strong brand, and made a good team so we dug deep and decided to take some time out to reassess everything, to source new suppliers, and develop a new business strategy. Although proving a stressful time, it was the right thing to do. It has worked well and we are certainly going in the right direction. Simply hearing how people LOVE our products makes me proud. When a parent contacts us either via email or social media and tells us how much their little one loves our Squishies, Wisps or Bites just makes me feel incredibly proud. Seeing our products on shelves of stores throughout Ireland, UK and further afield also makes me feel very proud of what we have achieved. It gives me a sense of independence. I consider myself a very independent person and would always try and instill a good work ethic in my children. Working gives direction to your life and a sense of meaning. It can bring you to meet so many incredible people and travel to new places. I grew up in a family business and watched my father work very hard all his life. So working is in me. Although I dream of the day where I can take time off and relax, I honestly can see myself always working. Many people inspire me, from all walks of life. My father is my main inspiration I have to say. As I said, I grew up watching him do something he loves and turning it into a very successful business. He was able to do all this whilst still being an excellent father, being a humble person, and getting his priorities right for whatever was needed. Ahhhh the dreaded work-life balance. What is it?! It’s a constant juggling act. With myself and my husband James both working in the business at least one of us is always there which really helps. We work very well together, James is good in areas where im not so strong. He is a great support for anything I need to do. I have been studying for a BSc Food Business Management for the past three years and am now in my final year. It was a huge undertaking alongside the business but James is very supportive and gives me the time I need. With three kids to manage along with the business and a new baby just weeks away, sometimes it can feel like life is just disappearing. But I would be bored if I wasn’t busy! We try not to talk about work in the evenings until the kids are in bed. Its important as they need time with us to help with homework and to just hear about their day etc. 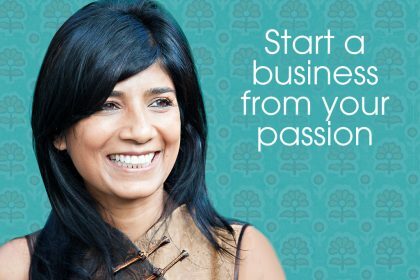 Be prepared for hard work – owning your own business can take over your life if you let it, it will most certainly be hard work, but if that doesn’t scare you then go for it. For working mums, ensure you have a good support network. There will most definitely be days where the kids are sick and you are needed in work, so a good support network is crucial. Research, research, research! You need to know your market and the only way you can do that is to research. Don’t rely on family and friends for impartial advice as they may just say yes so as to not offend you. A business mentor is always a good option. Someone you can use a sounding board and who can remain impartial. You can learn about about Heavenly Tasty Organics on their website.